I'm going to keep running the line looking for the 20:1 variant I'm searching for as a long term goal. 23% CBD for kief is t too bad, hard to tell what the flower would have been though. Is this just a rough kief from deseeding? Those terp levels look pretty decent as well congrats man job well done! Yes, it was rough kief from deseeding, probably as much green in it as there was kief. My seeds arrived today, thank you very much Sebring. I will be hatching a couple in the next few days for a mother. All the supposed below 1% THC on the CBD plants I have grown have always been higher. The Candida CD1 I have is up to 20% CBD and less than 1% THC but it hits like a 10% CBD 6% THC, Painkiller I have. Good luck on your quest for a 20:1. Awesome!!! So happy to see that they have a little THC content and super high CBD. This is going to make great meds!!! Thanks again for all of you help. That was exactly my thought @LonnieBoy28! Not enough THC to get high, but enough to synergize with the CBD. 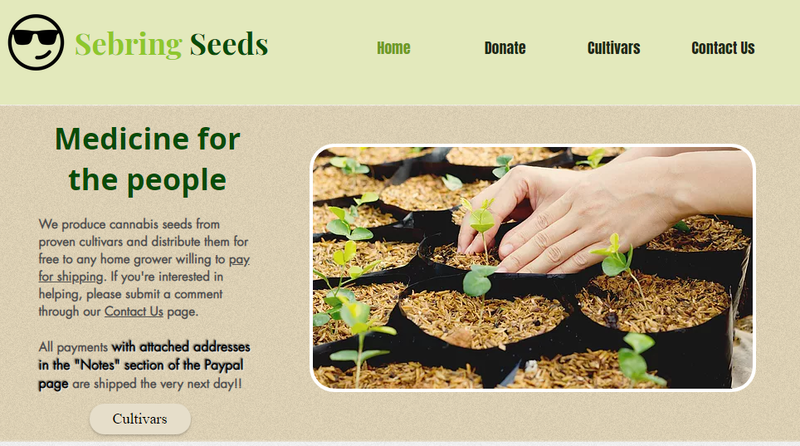 I'm glad to hear that the seeds are being received and used! I put 4 in water yesterday, 2 have tails already the other 2 have cracked Gave a buddy 10 seeds to play with as well. @Shadey thank you for sharing! Let's over grow the planet! I'd love a pack brother. That's a pretty nice run you had. Got two that popped up out of the coco this morning. My new website has gotten over whelming support from the OG admins, so I'm posting a link here for anyone interested! I'll still continue to announce strains and do grow logs here at OG, but I'll be using the streamlined shipping cost payment system on my website! That's excellent! I'll spread the link around as much as I'm able. I don't have a lot of reach, but I want to help support you any way I can, so I'll do my best. Every medical user I can help become independent of the system, matters! One more person is one more than there was before! So I appreciate any efforts to help that goal, no matter the size. That is so great! I love what you are doing! Thank you for compassion and humanity! We need more in the world like you! Thats so awesome man. Thanks for spreading the love! Hopefully i can send you some pics of your genetics in flower. Pretty excited to see what comes up! Very professional designed website @Sebring looks great so cool of you to launch into such a worthy cause!